Jessica Carter at Cal Poly presenting to the capstone class of the Packaging Program. With the increasing number of packaging SKUs, packaging engineers around the world are faced with the challenges of managing and keeping track of packaging specs, label specs, and Bill of Materials. As part of their commitment to providing the best tools for packaging engineers, Specright has created a University Program that enables universities to incorporate the Specright Platform into their packaging curriculum. This past week a member of Specright’s Customer Success team, Jessica Carter, was onsite at Cal Poly to conduct a training course for the capstone class of the Packaging Program. Students taking this course are tasked with designing an industrial or consumer goods package with considerations of performance, economic, and social factors. 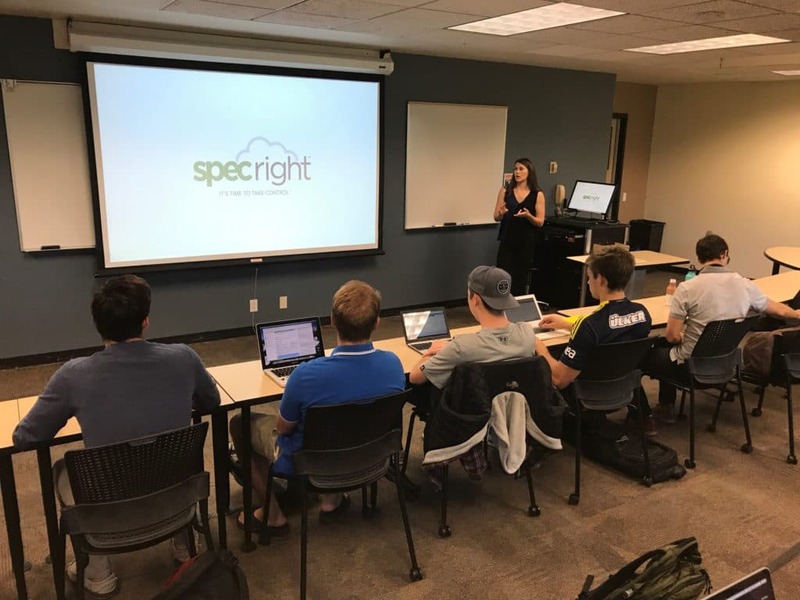 By incorporating the Specright Platform into the project curriculum, students are able to capture and analyze their packaging specifications in ways they were not able to in the past. Today, there are too many manual processes, too much paperwork, too many phone calls, too many confusing rules, and almost no modern tech systems and data interchange standards. We’re fixing that. Specright’s mission is to unite the packaging world through technology. By fixing the user experience in packaging, we hope to usher in a world where everyone can speak one common packaging language, things happen with a keystroke, trucks are full, and packaging is more profitable for all. The Specright University Program will be expanding to other packaging programs in the near future. The demand for Packaging Engineers has far outstripped the supply. Packaging programs in the US only graduate 1,000 Packaging Engineers each year, which just isn’t enough. Specright is committed to building software that packaging professionals want, and freeing up Packaging Engineers to work on innovative and progressive designs.